LONDON: It is easy to be impressed by a certain Hollywood quality to the first chapter of The Numinous Place, announced at last year’s Frankfurt Book Fair. The Numinous Place is a supernatural thriller told in a combination of video and audio clips, graphic novel sections and traditional written text, whose protagonist, Henry Amadeus Meat, stumbles into a mystery following a series of deaths at a Los Angeles sleep clinic. And certainly the seamless way the interactive elements of the story are integrated into a traditional written narrative, and their quality, does seem to set it apart in an increasingly crowded market, which has recently seen the arrival of Faber’s The Thirty-Nine Steps and Random House’s Black Crown. The project raised $75,000 (with a headline-grabbing $25,000 from Russell Crowe) earlier last year on fundraising website Kickstarter, adding to the Silicon Valley feel of the event. Although celebrity involvement in start-ups do not have a great record of success. Staufer is a former head of production at Universal Studios Network in London and has written the script for Russell Crowe’s directorial debut, Love, Laughter and Truth. Based in Windsor, England, Brandwidth design websites for the likes of Toyota and successful apps such as Guinness Book of Records: At Your Fingertips and the Dr Who Encylopedia. Still, the confusion surrounding its release date seems almost worthy of one of the mysteries that its protagonist must solve. The Guardian reported that was going to be launched in December 2012. Mark Staufer is not bothered: “We‘re trying to raise money for something that’s never been done before. And it’s difficult as old media really, really doesn’t want the digital floodgates to open. 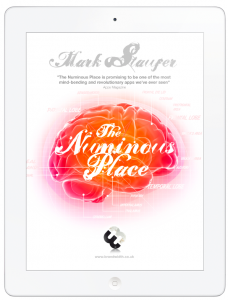 The Numinous Place aims to capture and play with our conflicting realities, both physical and digital. For Johnson, working out how to make The Numinous Place interactive was a major challenge. He had become annoyed with enhanced ebooks since “a photo gallery or video of the author are extras, but not enhancements, and so are not adding value. “Some projects absolutely demand a gaming element, or a puzzle-solving element, but when in a sense you are reading 500 pages of text you don’t want your audience to feel as if they are reading 2,000 pages more. That in a sense they have to pay mentally and physically for the privilege of getting on to the next chapter. “So sounds and music have to add atmosphere and the timing has to be right. It has to be ambient and send a shiver up their spine. We don’t want to reference just a particular word. 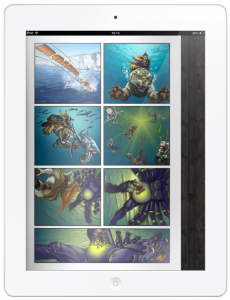 The platform crosses multiple media, including text, comics, video and audio. The problem of what to call it “is a problem everyone working in this space seems to face, and it’s because each definition — book, game, film — comes with its own associations and expectations. It can be easier to do this with original work like The Numinous Place or out-of-copyright material. “Of course, the big advantage that a truly original project has is the opportunity to be custom-made, natively for the new form. It wouldn’t necessarily be appropriate to do that for something as established as The Thirty-Nine Steps. In the end, for Staufer, much of the criticism leveled at The Numinous Place “feels like the criticism Kodak would’ve leveled at Instagram a few years ago. Or something Blockbuster might’ve said about iTunes. 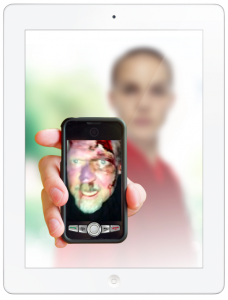 The digital universe is here and it’s about to disrupt publishing in the same way. Old business and release models no longer apply. And then finally the mystery will be solved. DISCUSS: Is Interactive Fiction Finally Reaching Critical Mass? Mark Staufer is offering the closing keynote address, “The Rebirth of Storytelling,” at Frankfurt Academy’s StoryDrive China conference, which takes place this May 29-30 in Beijing. Learn more about the event and register online.